Absolute monarchy or absolutism is a monarchical form of government in which the monarch has absolute power among his or her people. An absolute monarch wields unrestricted political power over the sovereign state and its people. Absolute monarchies are often hereditary but other means of transmission of power are attested. Absolute monarchy differs from constitutional monarchy, in which the monarch's authority is legally bound or restricted by a constitution. In theory, the absolute monarch exercises total power over the land, yet in practice the monarchy is counterbalanced by political groups from among the social classes and castes of the realm, such as the aristocracy, clergy, and middle and lower classes. Some monarchies have weak or symbolic legislatures and other governmental bodies that the monarch can alter or dissolve at will. 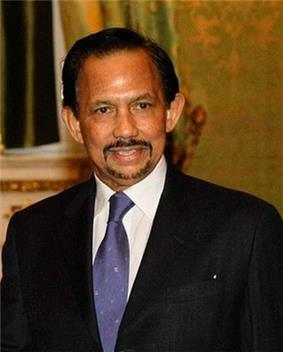 Countries where the monarch still maintains absolute power are Brunei, Qatar, Oman, Saudi Arabia, Swaziland, the emirates comprising the UAE, and Vatican City. Throughout much of European history, the divine right of kings was the theological justification for absolute monarchy. Many European monarchs, such as those of Russia, claimed supreme autocratic power by divine right, and that their subjects had no rights to limit their power. James VI of Scotland (later also James I of England) and his son Charles I of Scotland and England tried to import this principle. Charles I's attempt to enforce episcopal polity on the Church of Scotland led to rebellion by the Covenanters and the Bishops' Wars, then fears that Charles I was attempting to establish absolutist government along European lines was a major cause of the English Civil War, despite the fact that he did rule this way for 11 years starting in 1629, after dissolving the Parliament of England for a time. By the 19th century, the Divine Right was regarded as an obsolete theory in most countries in the Western world, except in Russia where it was still given credence as the official justification for the Tsar's power. A widely held story about Louis XIV of France (1638–1715) is that he proclaimed "L'état, c'est moi" ("I am the State!"). What Louis did say was: "The interests of the state come first. When one gives these priority, one labours for one's own good. These advantage to the state redounds to one's glory." Although often criticized for his extravagances, such as the Palace of Versailles, he reigned over France for a long period, and some historians consider him a successful absolute monarch. More recently, revisionist historians have questioned whether Louis' reign should be considered 'absolute', given the reality of the balance of power between the monarch and the nobility. Absolutism was underpinned by a written constitution for the first time in Europe in the 1665 Kongeloven ("King's Law") of Denmark-Norway, who ordered that the Monarch shall from this day forth be revered and considered the most perfect and supreme person on the Earth by all his subjects, standing above all human laws and having no judge above his person, neither in spiritual nor temporal matters, except God alone. This law consequently authorized the king to abolish all other centers of power. Most important was the abolition of the Council of the Realm. In Brandenburg-Prussia, the concept of absolute monarch took a notable turn from the above with its emphasis on the monarch as the "first servant of the state", but it also echoed many of the important characteristics of Absolutism. Frederick William (r.1640–1688), known as the Great Elector, used the uncertainties of the final stages of the Thirty Years' War to consolidate his territories into the dominant kingdom in northern Germany, whilst increasing his power over his subjects. His actions largely originated the militaristic streak of the Hohenzollern. Until 1905 the Tsars of Russia governed as absolute monarchs. Peter I the Great reduced the power of the Russian nobility and strengthened the central power of the Tsar, establishing a bureaucracy and a police state. This tradition of absolutism, known as Tsarist autocracy, was expanded by Catherine II the Great and her descendants. Although Alexander II made some reforms and established an independent judicial system, Russia did not have a representative assembly or a constitution until the 1905 Revolution. However, the concept of absolutism was so ingrained in Russia that the Russian Constitution of 1906 still described the Tsar as an autocrat. Russia became the last European country (excluding Vatican City) to abolish absolutism and the only one to do so as late as the 20th century (the Ottoman Empire drafted its first constitution in 1877). The form of government instituted in Sweden under King Charles XI and passed on to his son, Charles XII is commonly referred to as absolute monarchy; however, the Swedish monarch was never absolute in the sense that he wielded arbitrary power. The monarch still ruled under the law and could only legislate in agreement with the Riksdag of the Estates; rather, the absolutism introduced was the monarch's ability to run the government unfettered by the privy council, contrary to earlier practice. The absolute rule of Charles XI was instituted by the crown and the Riksdag in order to carry out the Great Reduction which would have been made impossible by the privy council, constituted of high nobility. After the death of Charles XII in 1718, the system of absolute rule was largely blamed for the ruination of the realm in the Great Northern War, and the reaction tipped the balance of power to the other extreme end of the spectrum, ushering in the Age of Liberty. After half a century of largely unrestricted parliamentary rule proved just as ruinous, King Gustav III seized back royal power in the coup d'état of 1772, and later once again abolished the privy council under the Union and Security Act in 1789, which, in turn, was rendered void in 1809 when Gustav IV Adolf was deposed in a coup and the constitution of 1809 was put in its place. The years between 1789 and 1809, then, are also referred to as a period of absolute monarchy. The popularity of the notion of absolute monarchy declined substantially after the French Revolution which promoted theories of government based on popular sovereignty. In Bhutan, the government moved from absolute monarchy to constitutional monarchy following planned parliamentary elections to the Tshogdu in 2003, and the election of a National Assembly in 2008. Nepal had several swings between constitutional rule and direct rule related to the Nepalese Civil War, the Maoist insurgency, and the 2001 Nepalese royal massacre, with the Nepalese monarchy being abolished on May 28, 2008. In Tonga, the king had majority control of the parliament until 2010. The ruling Kim family in North Korea (Kim Il-sung, Kim Jong-il and Kim Jong-un) has been described as a de facto absolute monarchy or "hereditary dictatorship". 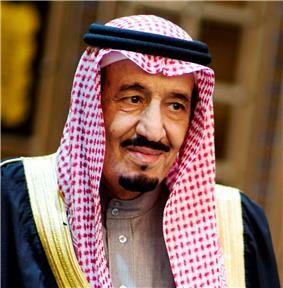 Salman, King of Saudi Arabia and Custodian of the Two Holy Mosques. Saudi Arabia is an absolute monarchy, although, according to the Basic Law of Saudi Arabia adopted by royal decree in 1992, the king must comply with Shari'a (Islamic law) and the Qur'an. The Qur'an and the corpus of Sunnah (traditions of the Prophet Muhammad) are declared to be the Kingdom's constitution, but no written modern constitution has ever been written for Saudi Arabia, which remains one of two Arab nations where no national elections have ever taken place since its founding, the other being Qatar. No political parties or national elections are permitted and according to The Economist's 2010 Democracy Index, the Saudi government is the seventh most authoritarian regime from among the 167 countries rated. Anthropology, sociology, and ethology as well as various other disciplines such as political science attempt to explain the rise of absolute monarchy ranging from extrapolation generally, to certain Marxist explanations in terms of the class struggle as the alleged underlying dynamic of human historical development generally and absolute monarchy in particular. 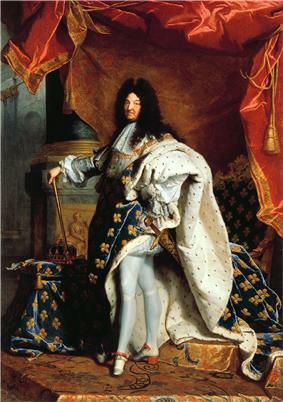 According to Norbert Elias's The Civilizing Process, monarchs such as Louis XIV could enjoy such great power because of the structure of the societies at that time: more precisely, they could play off against each other two rival classes, namely the rising bourgeoisie, who grew wealthy from commerce and industrial production, and the nobility, who lived off the land and administrative functions. Other scholars such as Jean Domat have defended the concept of absolute monarchy in works such as "On Social Order and Absolute Monarchy", citing absolute monarchy as preserving natural order as God intended.